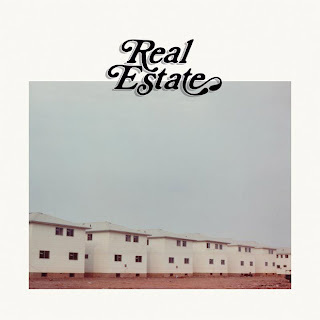 Real Estate has released another track, “Green Aisles,” from their upcoming album Days, due out October 18 on Domino. On this cut, Real Estate keep pace with their trademark melancholy style, offering clean tones and jangly minor chords, creating the perfect kind of sound for a rainy day. Below, check out “Green Aisles” along with the more upbeat track “It’s Real,” which can also be found on Days.